The CAREL rang e includes temperature and humidity sensors (duct or wall mounted) pressure transducers, smoke, fire and flood detectors, air quality probes, gas leak detectors for refrigerant units, guaranteeing performance and compatibility with all CAREL controllers. CAREL offers a range of sensors with different features for the various controllers, suitable for different applications mainly in the HVAC/R market sector. Excellent accuracy is obtained thanks to the technical solutions used in developing the sensor and reliability as a result of the tests to which they are subjected, which means that CAREL NTC probes are reliable sensors for measuring temperature at a low cost. 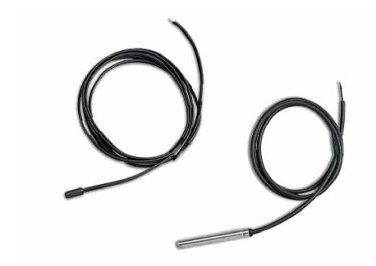 A range of accessories are available which include, temperature sensor pockets, connectors and cables to facilitate simple installation. For tailored advice on the best product for your business, please contact Climalife on 0117 980 2520.